As a Latina born and raised in the United States, the daughter of Peruvian immigrants, I have often felt on the outside of mathematics. Even raised in the diverse, but highly segregated, San Francisco Bay Area, growing up I did not have role models of how to be myself and also love mathematics. And yet, I loved mathematics. In college as I pursued a degree in Mathematics, I was part of a small fellowship program that placed us in high-need middle and high school mathematics classrooms in rural Watsonville, CA and urban Santa Cruz, CA. There I found that my bilingualism could be an asset to reach other Latinx students who were often lost but eager to learn mathematics. I learned early on that many Latinx students like myself were dedicated to learning mathematics, but systems of schooling did not provide the resources to close the language and learning gaps in the time they had. Years later when I worked as a literacy and then mathematics support teacher in the affluent Palo Alto, CA school district, I was also confronted with the marginalization of students of color, even in well-funded schools with highly-trained teachers. This set me on a path that I followed to my doctoral program at the University of Washington, in search of tools to transform the learning experiences of Latinx and other marginalized youth. I have been Assistant Professor of Elementary Education with a focus on mathematics and bilingual education at San Francisco State since 2012. Most of my job at SF State is teaching pre-service and in-service mathematics teachers. I see my position as a leader in mathematics education as helping new teachers build cultural bridges between themselves and the students they teach; helping teachers understand that teaching mathematics involves life-long processes of self-reflection and discomfort as you learn; and also aiding teachers to understand how racialized discourses of success and failure (such as the stereotypes that I grew up with of Latina women having no place in mathematics) have material consequences for students and teachers, and therefore we have the responsibility to be aware of and challenge those stereotypes. My research is focused on mathematics identity development as a lens on learning for both Latinx students and Latinx teachers. I challenge deficit views of bilingual Latinx teachers, who are often described as needing “just the basics” in mathematics before they can teach in language-rich ways that honor students’ cultural backgrounds, cultures the teachers often share with their students. I find challenging deficit notions of pre-service teachers of color to be as important as challenging deficit notions of students of color. 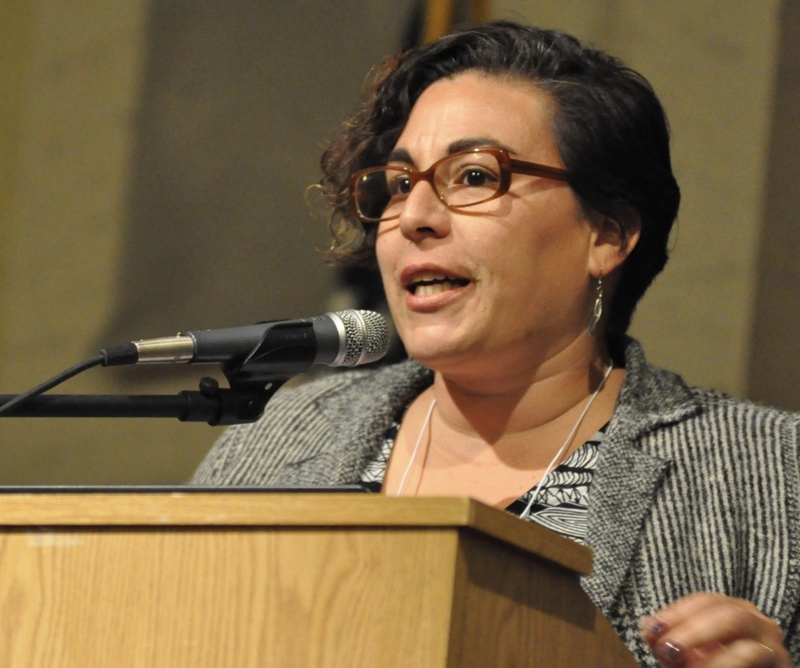 I had the honor of keynoting the TODOS conference in June, 2018. 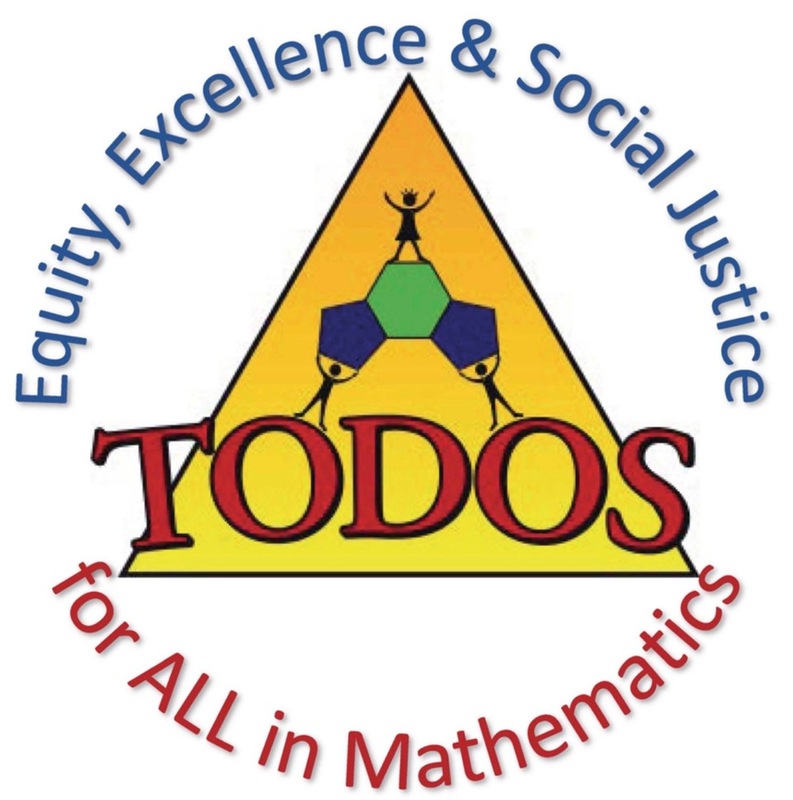 I was excited about the opportunity because TODOS is an organization that pushes the field of mathematics education towards an equity agenda unlike any other organization. Humanized research and practice come together in TODOS. Teaching for Excellence and Equity in Mathematics (TEEM) continues to be a free and valuable source for peer-reviewed research that speaks across educational settings, and I am proud to say I have published research in this journal. In addition to my involvement with TODOS, I also serve my community through various projects including volunteering in schools in Oakland, CA, being active in the California Mathematics Council, and an appointed member of the Equity Committee for the Association of Mathematics Teacher Educators (AMTE). Doing mathematics is a human activity. People of all ages, all races, all walks of life from all over the world create and re-create mathematics on a daily basis. In classrooms, I want all students to feel empowered through mathematics. To me this means supporting teachers to develop powerful practices that attend to students’ agency and identities, for teachers to also feel empowered through mathematics, and for educational leaders and policy makers to understand the value of broadened school mathematics to include other ways of knowing. I am honored to be nominated for this position and if elected look forward to advancing the mission of TODOS and being a voice for truly enacting change in mathematics education.